Havana nights, hazy with humidity and the ghosts of hand-rolled cigars, have long been relegated to imagination. But no longer, as beautiful Cuba opens up its borders once again to the United States. We’ve all but forgotten the colonial allure of Old Havana; the call of rumba in the night; the acres upon acres of fragrant young tobacco; and of course, the cobalt coastlines of this island nation...but now it’s time to remember. Habana Cafe Show, Havana Cuba Members of Buena Vista Social Club from LuxuryTravelVideos on Vimeo. 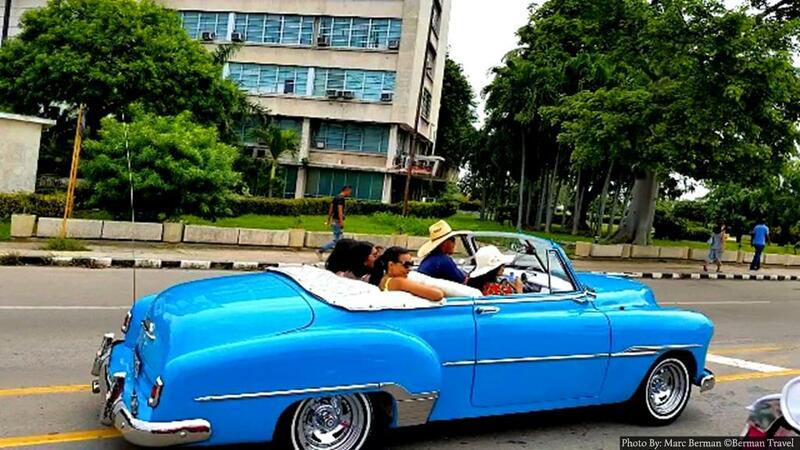 Berman Travel offers Cruises to Cuba and People To People Exploration Vacations. Obispo street Havana Cuba from LuxuryTravelVideos on Vimeo. Cuba Architecture, The Houses Of Havana from LuxuryTravelVideos on Vimeo.